A werewolf (from Old English: wer, “man”), man-wolf, or lycanthrope (Greek: λυκάνθρωπος, lykánthropos: λύκος, lykos, “wolf”, and ἄνθρωπος, anthrōpos, “human”) is a mythological or folkloric human with the ability to shapeshift into a wolf or a therianthropichybrid wolf-like creature, either purposely or after being placed under a curse or affliction (e.g. via a bite or scratch from another werewolf). Early sources for belief in lycanthropy are Petronius (27–66) and Gervase of Tilbury (1150–1228). The werewolf is a widespread concept in European folklore, existing in many variants, which are related by a common development of a Christian interpretation of underlying European folklore developed during the medieval period. From the early modern period, werewolf beliefs also spread to the New World with colonialism. Belief in werewolves developed in parallel to the belief in witches, in the course of the Late Middle Ages and the Early Modern period. Like the witchcraft trials as a whole, the trial of supposed werewolves emerged in what is now Switzerland (especially the Valais and Vaud) in the early 15th century and spread throughout Europe in the 16th, peaking in the 17th and subsiding by the 18th century. The persecution of werewolves and the associated folklore is an integral part of the “witch-hunt” phenomenon, albeit a marginal one, accusations of werewolfery being involved in only a small fraction of witchcraft trials. 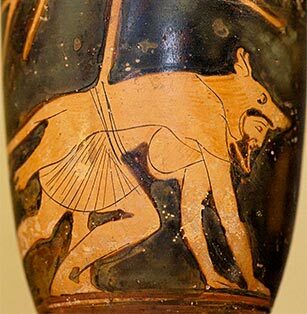 During the early period, accusations of lycanthropy (transformation into a wolf) were mixed with accusations of wolf-riding or wolf-charming. The case of Peter Stumpp (1589) led to a significant peak in both interest in and persecution of supposed werewolves, primarily in French-speaking and German-speaking Europe. The phenomenon persisted longest in Bavaria and Austria, with persecution of wolf-charmers recorded until well after 1650, the final cases taking place in the early 18th century in Carinthia and Styria. After the end of the witch-trials, the werewolf became of interest in folklore studies and in the emerging Gothic horror genre; werewolf fiction as a genre has pre-modern precedents in medieval romances (e.g. Bisclavret and Guillaume de Palerme) and developed in the 18th century out of the “semi-fictional” chap book tradition. The trappings of horror literature in the 20th century became part of the horror and fantasy genre of modern pop culture.